More benefits of four legs! Look what dear Monty found! I shall cut my waffling and just say that I saw this item on The Smithsonian ‘Smart News’ section last week and just knew it should be shared with you! Some archaeologists carry tools and painstakingly chip away at historic sites. Others might have fluffy bodies, keen senses of smell and an affinity for digging stuff up. As Tom McEnchroe reports for Radio Praha, a very good dog named Monty recently unearthed a rare trove of Bronze Age artifacts near the Czech village of Kostelecké Horky. Monty was walking with his human, identified as “Mr. Frankota,” in a field when he began pawing frenetically at the ground. Soon, thanks to Monty’s hard work, metallic objects began to emerge in the soil. It is rare to find a cluster of intact Urnfield objects, according to a press release. “The culture that lived here at the time normally just buried fragments, often melted as well,” Martina Beková, an archaeologist at the Museum and Gallery of Orlické who studied the artifacts after they were discovered by Monty, tells McEnchroe. So she suspects that the relics were tied to a ritual—“most likely a sacrifice of some sorts,” Beková says. The newly uncovered objects will be on display at the Museum and Gallery of Orlické Mountains in the town of Rychnov until October 21, after which point they will undergo conservation and be moved to a permanent exhibition in the village of Kostelec. Where would we be without our dear dogs!! Sweet Oliver surveying the new sights and smells down by the stables! We live on such a fragile planet! Elon Musk’s company SpaceX has unveiled the first private passenger it plans to fly around the Moon. The mission is planned for 2023, and would be the first lunar journey by humans since 1972. So here is that letter! I cannot believe how quickly the years roll by! On September 18, 1977, as it headed toward the outer solar system, Voyager 1 looked back and acquired a stunning image of our Earth and moon. You will surely remember that first image taken of the Planet Earth and your good self in the same frame. Here is the 1st-ever photo of the Earth and moon in a single frame. Voyager 1 took the photo on September 18, 1977, when it was 7.25 million miles (11.66 million km) from Earth. Image Number: PIA00013 via NASA/JPL. Now here we are some 41 years later and, my, how things have changed. But something, dear Mr. Moon, has never changed for you. That is the sight of our most beautiful planet. Plus, I would go so far as to venture that what makes our planet such a beautiful sight, one that has captivated us humans when we have gone into space and looked back at home, is the magic of our atmosphere. Picture taken by a NASA satellite orbiting the earth some 200 miles above the planet’s surface. So, so thin …. and so, so fragile. It is akin to the thinness of the skin of an onion. In fact, Mr. Moon, that layer that we earthlings call the troposphere, the layer closest to Earth’s surface varies from just 4 miles to 12 miles (7 to 20 km) thick. It contains half of our planet’s atmosphere! Everything that sustains the life of air-breathing creatures, human and otherwise, depends on the health of this narrow layer of atmosphere above our heads. Now the thickness of that layer varies depending on the season and the temperature of the air. But let’s use an average thickness of 8 miles (say, 13 km) because I want to explore in my letter to you some comparisons. In your infinite gaze down upon your mother planet you will have seen the arrival of H. sapiens, out of ancestral H. erectus, that took place roughly 315,000 years ago. While politicians have been busy debating the merits of climate science, the physical symptoms of climate change have become increasingly apparent: since the industrial revolution, sea level has grown by 0.9 inches, the atmospheric concentration of carbon dioxide has risen to unprecedented levels, average global temperatures have increased by about 1.0 degree Celsius and, to top it off, the global population has jumped by nearly 600 percent; 15 of the 16 hottest years on record occurred in the 21st century, and 2016 is likely to be the warmest year ever recorded. Now the Industrial Revolution was all but over back in 1840 and the last 178 years have seen an explosion in the way we use energy, in all its forms. Plus we have to accept that back then the global population was around 1 billion persons. It is now over 7 billion. Between 1900 and 2000, the increase in world population was three times greater than during the entire previous history of humanity—an increase from 1.5 to 6.1 billion in just 100 years. So on to my comparisons. The radius of our beautiful planet is about 3,959 miles (6,371 km). The average thickness of the troposphere is 8 miles (13 km). Thus the ratio of thickness of our liveable atmosphere to the radius of the planet is 8 divided by 3,959. That is a figure of 0.002! Our atmosphere is 1/1000th of the size of the radius of our planet. Hang on that figure for a moment. In the last 178 years humanity has transformed our consumption of energy and especially carbon-based fuels. H. sapiens has been around for 315,000 years. Thus the ratio of these present ‘modern’ times (the last 178 years) to the arrival of us back then (315,000 years ago) is 178 divided by 315,000. That is a (rounded) figure of 0.0006. Our modern times are just 1/10,000th of the time that so-called modern man has been on this planet. So, dear Mr. Moon, you must despair that in so short a number of years, proportionally ten times smaller than the ratio of the troposphere to the radius of our planet, we funny creatures have done so much damage to what we all depend on to stay alive – clean air! Or maybe, my dear companion of the night sky, because you are celebrating your 4.1 billionth year of existence, what we humans are doing is all a bit of a yawn. This old Brit living in Oregon. My dear friends (and I’m now speaking to you dear reader, not the moon!) when you reflect on the fragility of our atmosphere, well the layer we depend on for life, you realise without doubt that each and every one of us must make this pledge. So wrote the philosopher Democritus who was born in 460 BCE (although some claim his year of birth was 490 BCE). He acquired fame with his knowledge of the natural phenomena that existed in those times and history writes that he preferred a contemplative life to an active life, spending much of his life in solitude. The fact that he lived to beyond 100 suggests his philosophy didn’t do him any harm. OK! Before I continue, please let me state, as before, that I write to you purely as Jean’s husband. I have no medical skills or knowledge at all and if you are at all affected by any of the following make an appointment to see your own doctor! Dr M conducted tests including testing her ear wax*, extensive blood analysis and an analysis of a sample of Jean’s hair. * Dr. M has a dog that can reliably smell the presence of PD in human ear wax! The favourite drug for those with PD is Levadopa. Within 48 hours of Jean taking Levadopa she had a serious allergic response to that drug. Jean’s appointment was at 08:30 on Tuesday, 9th July. In terms of the timeline of all of us, Jean was diagnosed as suspected of having PD in December, 2015. Dr. Nutt saw us promptly at 8:30 and immediately revealed a listening, caring attitude. He also quietly admitted that he had been a doctor specialising in neurology and movement disorders for 39 years! There was no question in my mind that we had landed in front of the ideal physician under these circumstances. Over the next hour, Dr. Nutt examined Jean in a great number of ways. From her stretching her arms out, Dr. Nutt examining Jean’s arm joints, watching Jean walk along the corridor outside his examining room, and much more. Of course it wasn’t long before I mentioned Laurie Mischley’s opinion that Jean might not have PD. But Dr. Nutt was very clear with his reply. Namely that PD cannot be determined from hair and blood tests alone and that the potential sufferer must be examined physically. Dr. Nutt asked me if I had noticed that when Jean held her arms straight out in front of her at shoulder height the tremors in her right hand ceased yet when she was relaxed with her hands in her lap the tremor in her right hand was very noticeable? I had not spotted that. Dr. Nutt went on to say that watching Jean walk gave him another indicator of PD. Because although Jean walks well she doesn’t swing her arms. Classic PD! Without doubt, Dr. Nutt’s impression was Idiopathic Parkinson’s disease. But Dr. Nutt also said that Jean was doing incredibly well taking into account that she would have been suffering from the disease for at least 4 to 5 years and that her commitment to lots of exercise including her RockSteady class, that he was aware of, and her vegetarian diet was critically valuable. It was now time to turn to medication for Jean. Dr. Nutt said that of all the drugs Levadopa was the ideal to combat the loss of dopamine in the brain. He was puzzled as to why Jean had had such a strong allergic reaction to the drug. He wondered if it was a reaction to the Carbidopa that in the USA was so often a component of the Levadopa medication. If so, that could be worked around. Dr. Nutt even mused that he had known of a patient who was allergic to the yellow dye that is sometimes in that medication. His medication plan for Jean was for her to start on a 1/2 tablet of carbidopa-levadopa 25-100 mg tablets just once a day and if she has no bad reaction in a week then up that to two 1/2 tablets a day. If no adverse effects then increase by 1/2 tablet every week until taking 1 tablet three time a day. So here we are, a week and a day after we returned from OHSU and, touch wood, Jean has had no adverse effects and is now on two 1/2 tablets a day. But a postscript to that consultation with Dr. Nutt. At the very end I said that I had two questions. Dr. Nutt welcomed me to ask them. Upon hearing that, Jeannie immediately spoke up recalling her times out in the Mexican fields when the crop-spraying aircraft flew right overhead. Adding that she had at times been drenched by the spray. But, please, let us not forget: Association is not causation! That’s enough for today. Because I was going on to include information about the importance of exercise. About managing one’s life really well. About the importance of diet and overall health. In a sense, not just for PD sufferers but for anyone the wrong side of 60 years old!! That will be coming along soon! I will close by thanking everyone at OHSU. The quality of care, attentiveness and experience of the staff backed by world-class resources was second-to-none! To be in their system, so to speak, is a privilege. Want to share with you more of the recent pics taken at home. Moon taken at 0540 on the 9th July. The turkeys have now cottoned onto when the deer are fed each morning! We have to keep banging this drum on behalf of our wildlife! OK! This new essay from George Monbiot applies specifically to the United Kingdom. But there’s no question in my mind that awareness of what is going in the U.K. will be important for readers in many other countries. We must all love Nature more! More of the beauty of a moist morning here at home. Once again, for anyone interested, all the photographs were taken with a Nikon D750 camera and a Nikkor 24-70 2.8 lens. More evidence that supports the sense, the very great sense, in going vegan! Some three weeks ago, on June 15th to be exact, I published a post called On Veganism. Jean and I had just watched a film What The Health and what it presented in terms of eating chicken and fish convinced us to immediately go the final step, as in going from being vegetarians to vegans. Many of you offered kind words and encouragement. Colette Bytes included a link to a blog post that she published in April, 2017. It is called Vegan Future and with her kind permission that post is republished today. It is chock full of information and videos so do settle down and let all the information provided by Colette ‘speak’ to you! This is really worthy of an evening spent watching all the videos! Seventeen percent of human caused greenhouse gases, come from meat and dairy production. It is actually a greater figure than all CO2 produced by global transportation! But is it enough, just to reduce our animal consumption, or should we look at the compelling evidence that we need a Vegan future! On a previous blog, I mention the documentary ‘Earthlings’ narrated by Hollywood actor, and lifelong Vegan, Joachim Phoenix. ‘Earthlings’ is the definitive Vegan film on exposing the meat and dairy industry in the US. And while other countries may not have factory farming on such a broad scale, many of the same procedures occur on a smaller scale. No member of the general public is allowed into the kill sections of slaughter houses for a very good reason. It is horrendous to watch a fear-ridden animal that wants to live, face its painful death. This filmed reaction of a viewer watching ‘Earthlings’ is an average reaction. It is a moving experience for anyone with compassion. Posted by Raw Vegan, Fruitarian, Michael Lanfield, it is worth watching if you cannot bring yourself to actually watch the devastating, but common images of the meat, dairy and egg industry. Switching your food intake to a plant-based Vegan diet, (eliminating all meat, dairy, egg and seafood), is the biggest change with the most impact that you can possibly make to reduce climate warming, land and water degradation, extinction rates, deforestation, pollution, human and animal suffering, and war (often over lack of food and water resources). And It is the number one thing you can do to improve your own health. It can also cut the cost of your food bill while you continue to eat a healthy diet. There is no downside to this change if you keep your diet healthy and balanced. You can even eat processed plant-based, meat-like products if you want, but they may cost a similar amount to having meat in your diet. The United Nations has already stated that we need to switch to a plant based diet if we are to survive. Australian, James Aspey, a survivor of thyroid cancer, has become a Vegan Speaker (on ending animal cruelty) with his own Youtube channel, but he is also one of an exponentially growing number of people who have improved their own health through a plant based diet switch. Lots of new Ethical, Healthy Vegan Ready Made meals like this brand are appearing now on Super market shelves. So even if you don’t ‘do cooking’ you can still find nutritious Vegan options. And Vegan restaurants, holidays and lifestyles are all available now. And new research is beginning to show that meat and dairy are actually toxic to our body. You’d be surprised how many top athletes eat a vegan diet just to be at the top of their sport…Names like Serena and Venus Williams, Novak Djokovic, and Andy Murray, are all Vegans. Winner of the world Strongman competition is Vegan. Many top boxers eat vegan. Look at PlantBased News on YouTube for lots of informative videos on who is Vegan. And see their 100 countdown of awesome Vegan celebrities. Eating junk plant-based foods is not advisable as it will lead to nutrient deficiencies…and ultimately a disease state, so you can’t survive on potato crisps, popcorn, and bread….there is a responsibility to eat a balanced fresh food diet to be healthy. You do need to eat proteins (nuts, legumes, grains, beans, some veggies). You will need to supplement with Vitamin B12, a soil- based, active nutrient essential for our brain & nervous system which we do not get in our diet as we no longer forage and eat unwashed food like our ape ancestors. And you may need to supplement Vit D3 for bone health as we no longer spend enough time outside in the sunshine. Essential oil, Omega 3 can be obtained from flax and hemp seeds. The rest, you should be able to get from a ‘good’ Vegan diet with lots of vegetables, fruits, legumes, beans, grains and nuts. Just 15 grams of nuts per day will give you enough protein to be healthy. Eating Kale and other dark leafy plants, beans, whole grain rice, legumes and some nuts, sweet potatoes are all sources of Calcium. The key to health is to have a full, varied selection of whole plant-based food! The Meat and Dairy industry packers are worried that they will lose their industry and are fighting back with their political power and disinformation campaigns designed to scare us, but the smart companies will begin to think about how they can profit from exponential growth in the Vegan food industry. There are so many online sources to help you buy, and cook a healthy plant-based diet. Just type ‘Vegan Recipies’ into a search engine and you will find fantastic yummy recipes. You will love the variety and the taste of your new diet. And if you are not into cooking, mainstream supermarkets are now starting to stock a growing variety of vegan ready made meals, and starting to label Vegan choices. An all round informative website on Vegan trends, news headlines, and increasing popularity of healthy lifestyles including a plant- based diet. Dr Michael Greger, MD, author of Best Seller, ‘How Not to Die’ and distributer of free videos and research on how plant based diets affect us. I have followed his work for years and he backs it all up with science based studies…his short videos and reports are packed with hundreds of supportive reports for a plant based diet. Dr McDougal, Author of ‘A Starch Based Diet’ and follower of Nathan Pritikin, one of the forerunners promoting plant based nutrition. And there are so many more resources out there ! Join the growing trend to make this a better world for everyone, by making the biggest difference you can when you shop for food. Pick whole, plant-based, foods and kick the ‘animal eating’ habit to be healthy, stop animal cruelty, and save the environment and reduce global greenhouse gases. What could be a more worthy goal? This is so much more than just a blog post from Colette. It is a fantastic source of information, from a variety of sources, about why it makes such good sense to become a vegan. 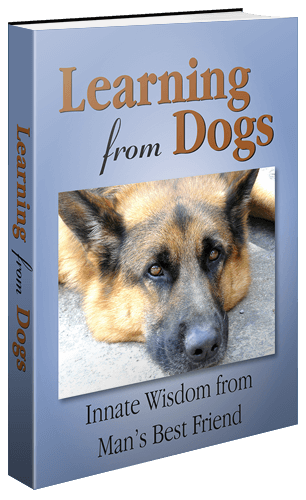 I shall include it as a link from the home page of Learning from Dogs so it may serve as a reference long after it was republished today. Can dogs be vegan? Unlike cats, who are obligate carnivores, dogs can be fed a vegan diet as long as it’s high quality and nutritionally balanced like Halo® Garden of Vegan® dog food. In the meantime, I’m taking a day off tomorrow but please do read George Monbiot’s latest post, being republished here on Friday, 6th July. The second in this three-part focus on food; both for us and our dogs! A republication, within the terms of The Conversation site, of an article that was originally published on June 26th, 2018. It’s enough to make one give up!! We truly are what we eat! That’s both us and our beloved dogs! Today through to Wednesday is all about increasing awareness of the risk of not being ultra-careful as to what we put into the mouths of both ourselves and our beloved dogs. Earlier this year I wrote about a second incident of the euthanasia drug pentobarbital discovered in dog food. The first incident was in 2017 and involved Evanger’s formulas. Then came the more recent recall of Gravy Train tainted with pentobarbital. The Gravy Train situation was investigated by WJLA ABC 7 in Washington D.C. The station teamed up with Ellipse Analytics, a laboratory that specializes in testing food for contami­nants. They tested 62 samples of over 24 brands of wet (canned) dog food for pentobarbital. Later in February, Smucker/Big Heart voluntarily withdrew 10 varieties of Gravy Train dog food, along with certain shipments of Kibbles ‘N Bits, Ol’ Roy and Skippy.4 A complete list of the products pulled from store shelves — all of it canned dog food — can be found here. In early March, the FDA notified Smucker/Big Heart that its voluntary removal of products was now considered a recall, based on a test confirming the presence of pentobarbital in the tallow the company used in the recalled pet foods. The updated filing asserts that “… Defendant [Smucker/Big Heart] knew the Contaminated Dog Foods contained pentobarbital.” The plaintiffs did not make this claim in the initial lawsuit, which means that between February 9 and May 1, their investigation revealed additional unfavorable details about Smucker’s business practices. On February 16, 2018, the FDA issued an alert to consumers about the recalled Gravy Train dog foods, stating very clearly that pentobarbital should not be in pet food. “Defendant did not identify what exactly was tested — whether it was cans of the food pulled from the shelves, cans shipped directly from the manufacturing plant, and/or isolated samples of beef fat from the supplier. Defendant did claim the tested beef fat was sourced from cattle from the United States. However, Defendant has offered no information about how it identified this particular ingredient or whether it tested any other ingredients included in the recalled pet foods. In early March, Smucker updated the above statement, claiming the animal fat was from “cow, pig and chicken and no other animal of the nine types tested.” Smucker still didn’t identify what types of animals were included in the testing, nor did it disclose the name of the manufacturing plant and/or supplier that is the suspected source of the tainted raw materials. “In the end, over ninety million cans of food manufactured and distributed by Defendant were recalled because of the inclusion of pentobarbital. Moreover, the testing results showed alarmingly high levels of pentobarbital in the tallow. Specifically, the current supply tested showed levels ranging from 801 ppb to 852 ppb, and the retained sample from 2017 contained pentobarbital at the level of 529 ppb. Smucker ultimately named the source of the contaminated tallow as a single supplier, JBS USA Holdings, Inc. and its rendering facility. According to the plaintiffs, JBS “knowingly” works with meat byproduct recycling, including animal byproducts not suitable for human consumption. “Yet Defendant chose to utilize JBS as a supplier even though it maintains that it keeps rigorous quality and supplier standards from ‘start to finish’ and performs three-tier auditing that includes third party auditors, to ensure pure ingredients and fair labor are used in its products, including the Contaminated Dog Foods. According to Susan Thixton, who’s been conducting her own investigation of Big Pet Feed business practices for years, these clearly shady dealings are commonplace. “Audits of pet food ingredient suppliers, [and] testing of ingredients for safety and quality are mostly to support a paper trail,” she writes. “Little to no true quality control testing is ever performed. Truck drivers delivering ingredients to pet food facilities have been instructed to carry in the truck cab ‘clean’ samples provided for testing; not a sample of what is actually delivered to the plant. Drivers have also shared that when a load of pet food ingredients is actually tested and fails, lot numbers are changed and the delivery is then accepted without question. At an AAFCO meeting Susan attended a few years ago, pet food company employees shared that manufacturers keep a supply of clean samples on hand in the event regulatory authorities or auditors ask to test ingredients. “Rarely, if ever, are the actual ingredients used in a pet food tested by regulatory or auditors,”she writes. “In August 2017, Plaintiff Sebastiano’s dog became weak and confused, began vomiting, had blood in his stool, lost weight, no longer wanted to eat, and had trouble standing and walking. At only  and a half years old, Samson died, on December 4, 2017. Plaintiff Johnson … fed the Contaminated Dog Foods to his thirteen border collie and Australian shepherd mixes he used as herding dogs for his cattle. Plaintiff Johnson had seven males and six female dogs that ranged from  months to approximately  years old. … Devastatingly, Plaintiff Johnson lost all thirteen dogs, including one pregnant female, on January 14 and 15, 2018. At that time, all of his dogs were showing symptoms of kidney failure so the veterinarian recommended that all thirteen be put down. All of the dogs were fed the Contaminated Dog Foods at the same time and all were sick within hours after eating the Contaminated Dog Foods. They subsequently all died within two days of eating the Contaminated Dog Foods. Plaintiff Williamson purchased certain lines of the Contaminated Dog Foods … and fed the Contaminated Dog Foods to her two Great Danes, Nova and Sadie. Sadie passed away on Wednesday, September 7, 2016, and Nova passed away on Sunday, January 22, 2017. Plaintiff Todd purchased certain lines of the Contaminated Dog … and fed the Contaminated Dog Foods to his American pit bull, Tito. Tito passed away on November 18, 2017.” Plaintiff Brown purchased certain lines of the Contaminated Dog Foods … She rescues stray dogs and has fed all of them the Contaminated Dog Foods. Several of her dogs have died over the course of the class period, including: Speedy, a -year-old Chihuahua mix who died in December 2016; Humpty, an – or -year-old lab-chow mix who died in November 2017; Elly Mae, a -year-old lab-chow mix who died in December 2017; Sara, an -year-old lab who died in October 2017; Red, an -year-old lab who died November 2017; Mary, a -year-old lab-chow mix who died in August 2017; Duke, a -year-old Great Pyrenees who died in August 2017. As Susan Thixton points out, had it not been for intrepid reporters at WJLA ABC 7 in D.C., specifically Lisa Fletcher, the deaths of these precious pets and probably many more would have gone unnoticed by the FDA and others. Between low-grade ingredients, too-frequent recalls, and an exploding population of pets with chronic digestive issues, allergies and degenerative disease, it’s no wonder so many pet parents are exploring homemade diets, fresh food diets made by smaller, transparent pet food producers, raw diets, and other alternatives to the dead, rendered, dubious, processed stuff. My advice? Search this website for more information on choosing the best diet for your pet. There are dozens of videos and articles here that can help you become more knowledgeable about pet nutrition so that you can make the best diet choices for your own dog or cat. If you want to help change the deceptive practices occurring in the pet food industry, I recommend becoming a member of the Association for Truth in Pet Food, which is the only organization out there committed to holding the regulatory agencies and AAFCO accountable. Dr. Becker opens up her important article with a summary of the situation. I have chosen to close the post with that summary. Staying with the theme of our beautiful natural world. Shared with you good people both today and in a week’s time. But first an apology for there being no posts these last two days. All down to helping Ken, a local friend, with the task of giving our house a bit of a ‘paintover’. Going from brown to grey! OK! On with the scenes of nature! Earlier in June we had a couple of wet days. On the first dry morning after the rain I took a number of photographs. Just two for now and then the rest shared with you in a week’s time. Morning mists from the overnight rain. The moisture in the air picked up by the morning sunlight was breathtakingly beautiful! All the photographs were taken with a Nikon D750 camera and a Nikkor 24-70 2.8 lens.